Foreign criminals in Denmark are going to be imprisoned on a remote prior to being deported, as part of new plans announced by the government. Finance Minister Kristian Jensen, from centre-right party Venstre, said criminals will be housed on Lindholm, a 17-acre island in Stege Bay, approximately one and a half miles from the Danish mainland. Finance Minister Kristian Jensen, from centre-right party Venstre, said criminals will be housed on Lindholm (pictured), a 17-acre island, approximately one and a half miles from the Danish mainland. 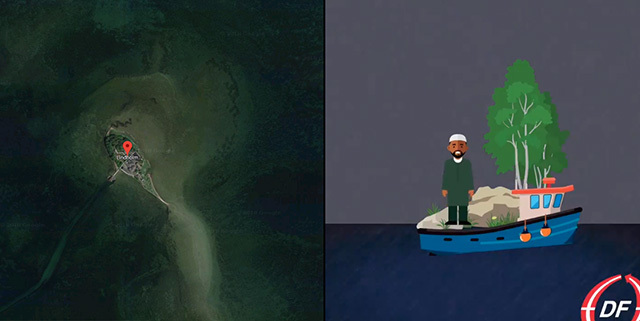 Funding for the proposal was secured after the backing of the right wing Danish People's Party (DK), who tweeted about the new policy alongside a cartoon. 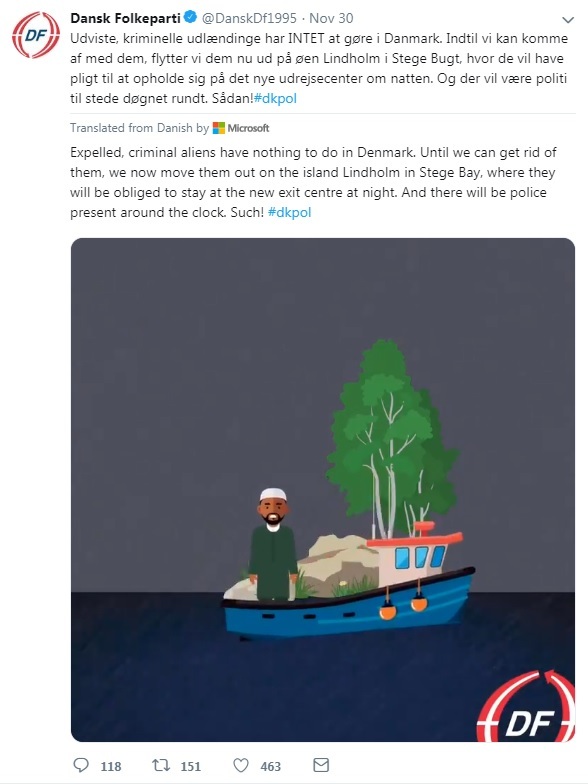 The Tweet reads in Danish: "Expelled, criminal aliens have nothing to do in Denmark. Until we can get rid of them, we now move them out on the island Lindholm in Stege Bay, where they will be obliged to stay at the new exit centre at night. And there will be police present around the clock."